You could attend Cottonwood for weeks, months or even years and still not feel connected! This is where being involved in a home group comes in. Person after person, couple after couple, family after family have expressed that getting involved in a group has been a significant step in their spiritual growth as well as how they got connected and made some great friends at Cottonwood! We believe that ‘others-oriented’ love and real spiritual growth happen best in a caring community of friends. Whether it is a home group, bible study, or accountability group, you will grow best with other people! Gathering together regularly to encourage each other in God’s Word (Heb. 10:25) and prayer are central to our spiritual growth as a follower of Christ. Please browse the brochure or contact Pastor Pat at for more information or help finding a group. 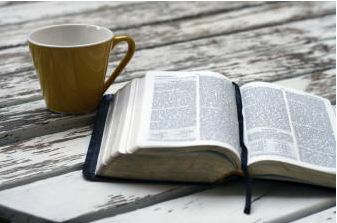 Men's Breakfasts are Typically Held on the third Saturday of the month NOV-APR at 7:30 a.m.
A light breakfast of coffee, juice, fruit and rolls will be served. Messages from various speakers to encourage and challenge men in their role as a man, husband, father, and servant of Christ will be shared.